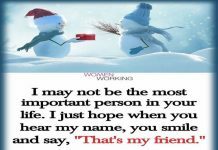 Beautiful things are much better appreciated in the company of a friend . Next articleYou can never win an argument with a negative person. 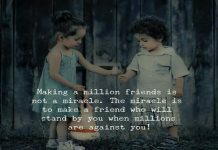 Making a million friends is not a miracle….